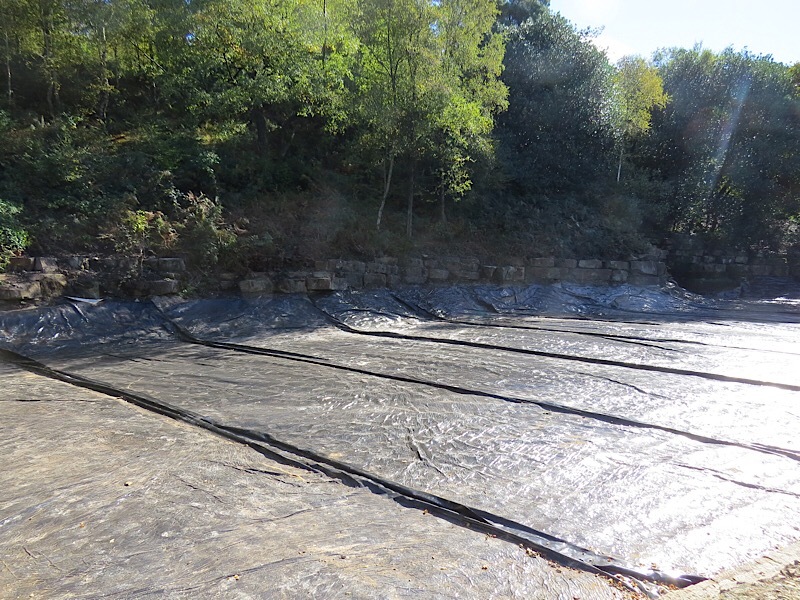 As you can see from the images the lakes are not particularly deep but are now clear of silt and in the process of being re-lined with membrane and concrete in accordance with details provided. Progress is now gathering pace and the transformation of the gardens will soon become visible. Structures are being renovated by HPR Ltd and the pigeon tower landmark is nearing completion. With funding from the Heritage Lottery https://www.hlf.org.uk/ the project will benefit from a lifetime boost and will survive well into the future for generations to enjoy. United Utilities, landowners, allow free access to the area. This is enjoyed by thousands of people every week as the weekend walks up the Pike and through the Terraced Gardens, Rides on horses and Mountain Bikes and educational trips with local schools continue into the future. The resource is a real gem locally and loved by many generations of local people. 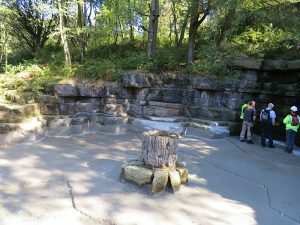 There are many web sites promoting the use and enjoyment of the area, this being one https://www.about-rivington.co.uk/explore/rivington-terraced-gardens/ We suggest you keep up to date with progress by visiting our web site and the others listed in this article. Keep buying the lottery tickets, you are helping protect future sites for our next generation. Local press keep up to speed with the works and progress on site so buy your local paper https://www.theboltonnews.co.uk/news/16198520.restoring-rivington-gardens-to-their-former-glory/ and look out for updates. Better still, take a walk up and explore the progress, taking care as this is a construction site.